Trending at $4.36Trending price is based on prices over last 90 days. 1979 Press Photo Ernest Borgnine, Kim Basinger Star in "The Ghost of Flight 401"
1978 Press Photo Ernest Borgnine and Kim Basinger in "The Ghost of Flight 401"
1978 Press Photo Ernest Borgnine stars in mystery film "The Ghost of Flight 401"
Air Crash Investigations Ghosts? the Crash of Eastern Air Lines Flight 401. 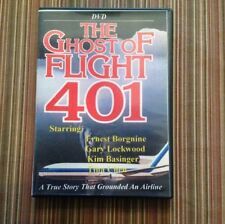 The Ghost of Flight 401 by Fuller, John G.
2 product ratings - The Ghost of Flight 401 by Fuller, John G.